Foster carers from across the borough have been recognised for their years of service in providing caring and loving homes to some of St Helens’ most vulnerable children and young people. The group, who have a combined total of over 125 years’ experience as foster carers and kinship foster carers, were welcomed into St Helens Town Hall where they were presented with certificates from the Mayor and Mayoress of St Helens, Councillor Pat Ireland and Lynn Glover before enjoying a spot of lunch. 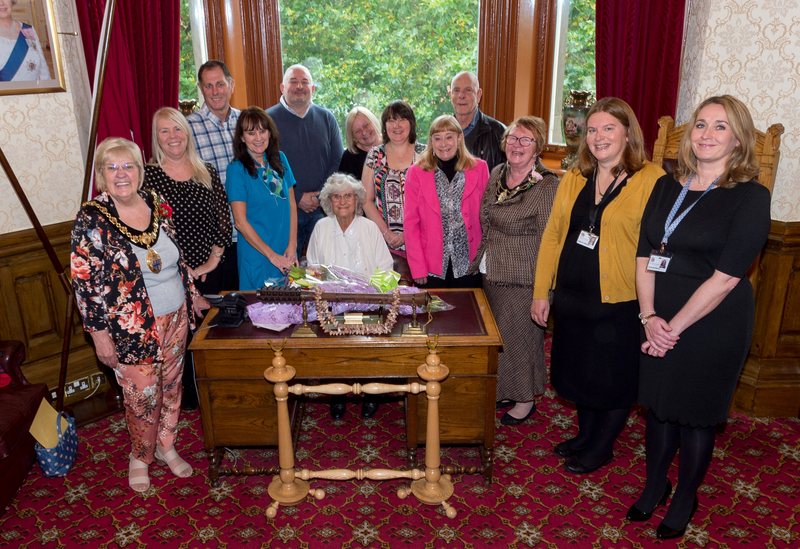 Praising the group for their efforts, Councillor Ireland, said: “It was an honour to welcome these inspirational people into the Mayor’s Parlour to hear their stories, including the difficulties they’ve faced– but most importantly, how much pleasure they get out of providing children and young people with a stable home. Among those to receive recognition was Newton-le-Willows resident, Mrs Glynn Kelly who, during her 40 years as a foster carer, has looked after almost 100 children, consisting of both long-term placements and overnight stays. Mrs Kelly, who has decided to call time on her role as a foster carer after overcoming illness recently, was influential in supporting babies onto adoption and was noted for her ability to support birth parents that have struggled to relate to professionals, even offering to supervise contact on Christmas day. Commenting on her experience as a foster carer, Mrs Kelly said: “I personally loved being a foster carer. I’ve been doing it for so long it’s just part of life. Think you’ve got what it takes to foster a child or young person? Visit youcanfoster.org/st-helens today to fill in your enquiry form.